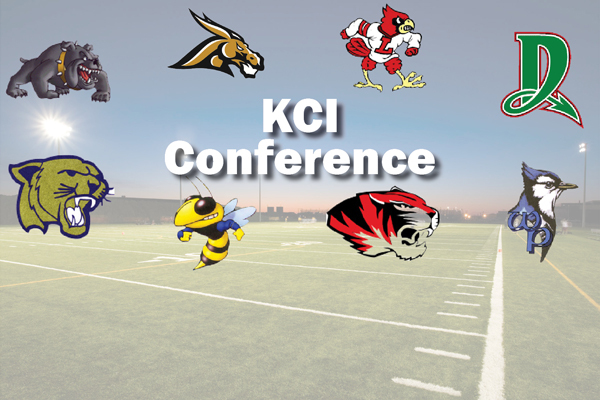 The KCI Conference has long been one of tougher combo Class 1 and 2 leagues in the state and this year should be no different. East Buchanan is the defending conference champion and the Bulldogs should be good again this year. They won’t be alone. Penney brings back a lot of players from a run to the Class 1 state championship game and almost every other team has lots of returning starters. All in all it should be another strong year for the league and several teams have a good chance to play deep into the postseason. Biggest Challenge: The Bulldogs were one of the most dynamic teams in the state of Missouri last season on their way to an 11-1 record and KCI Conference Championship. East Buchanan lost a lot of good skill players off that team but there is still plenty of talent on the team. The big challenge right now is getting that talent ready for the Friday night lights. Outlook: East Buchanan moves back down to Class 1 after two years in Class 3. The schedule hasn’t changed much as the Bulldogs must navigate their way through a conference that features Class 1 finalist Penney along with talented programs like Lawson and Lathrop. East Buchanan filled out its schedule with South Harrison and St. Joseph LeBlond so there are no off weeks. This has been one of the better programs in the KCI and it should be in that spot again this year. Biggest Challenge: It’s year two for Chris Holt and the numbers are up. With those bigger numbers has come depth and the Mules are working on finding the right spots for their players as they head into the season. Outlook: Lathrop doesn’t bring back a ton of starters but there are 10 seniors back who saw a lot of time last season. Five of those starters on offense come on the line and with 40 underclassmen the Mules could take a big step forward this year. The schedule isn’t easy but Lathrop could be a surprise team as the season goes on. Coach’s thoughts: “I think our approach to practices, weight room and general football things is night and day to where we were last year. I think we are definitely going to reap the benefits of that this year. Biggest Challenge: With an experienced group returning the work of the offseason has gone well. The Cardinals have a few open spots so the coaching staff is looking to fill those holes. That work is ongoing and a few of those spots might not settle down until the first few weeks of the season. Outlook: The Cardinals have a long tradition of excellence and this could be another one of those years. Lawson brings back seven starters on both sides of the ball and has talent to fill the other holes along with good depth. The team unity has been strong all offseason so this could be a big year for the Cardinals. Lawson will be tested right off the bat with non-conference games against Maryville and Lafayette County. Biggest Challenge: The second year for Coach Aaron Fritz has brought a good comfort level with the players and coaches but improvements on the school facilities has been challenging. The Dragons weight room along the rest of the school has been in the process of having air conditioning installed so finding a place to get the work done has been an issue. Add to that work on the track and it has been a bit of a disjointed summer. Outlook: Even with the challenges a full offseason with the coaching staff has enabled the team to hit the ground running on the field. The schemes and players match up better and the learning curve is behind them. There are good numbers out and a solid amount of starters back so the Dragons should be an improved team this season. Biggest Challenge: The Panthers bring back good experience at the skill positions but they are lacking on the offensive and defensive line. Only one starter is back up front and finding replacements and getting them up to speed is the top task heading into the first game. Outlook: North Platte closed the season strong with three straight wins before falling in the district title game to West Platte. They graduated a lot of seniors but they bring good experience and talent back from last year’s underclassmen. If the Panthers can find some linemen and solidify that part of the team this could be a good year for North Platte. Biggest Challenge: Coming off a run to the state championship and bringing back a lot of experienced talented players means good things should happen this season. With success can sometimes come complacency and that is something the Hornets will need to guard against. Outlook: Penney changed coaches and styles last season but the end results were very similar to years past. The Hornets made a run to the title game and bring back a lot of good players from that team. The conference is still strong and the Hornets will be tested most weeks. Look for another outstanding year from this talented program. Biggest Challenge: The Tigers bring back most of their starters from last year’s team which is a positive. The key for them is developing some depth with small numbers and keeping the starters healthy and performing at a high level. Outlook: It seems like almost every team in the KCI brings back a lot of starters and Plattsburg is no different. The Tigers have good experience but lack depth. The schedule does them no favors with Holden and Lincoln College Prep on the non-conference slate. This should be an improved team even if there aren’t a lot more wins to show for it. Biggest Challenge: The Bluejays come in with a good group of lineman back. The playmakers behind that line is a little light on experience so getting those players up to speed has been job one this summer. Outlook: West Platte has been one of the best late season teams the last few years playing in three straight district title games winning two of them. This season could look similar with new faces at the skill positions on offense. One positive is the offensive line is back so those younger players should be well protected.